Image: “Tomas Satroansky, JJ Redick” by Keith Allison is licensed under CC BY-SA 2.0. The Philadelphia 76ers enter the NBA All-Star Break with a 37-21 record and currently hold the fifth spot in the Eastern conference. The Sixers closed out their final week of games before the break with a tough 112-109 loss to the Boston Celtics on Tuesday night, and a 126-111 win over the last place New York Knicks on Wednesday night. Philadelphia has looked promising after making big moves in acquiring Tobias Harris and Boban Marjanovic; however, there are still some kinks that Coach Brown will have to work out if the team wants to make a deep run into the postseason. Despite looking strong against the Denver Nuggets and Los Angeles Lakers in the first two games after the trade deadline, Ben Simmons and company were once again exposed by the Celtics. For whatever reason, Brad Stevens and the Celtics have Philly’s number. The Sixers are now 0-3 against Boston this year, and it seems like Brown gets out coached by Stevens every time the two teams meet. Even with the addition of Harris, Stevens did a good job on Tuesday of shutting down Brown’s game of ball movement and shared offense. By limiting the amount of open looks from three-point land, Boston was able to force the pressure on Embiid and Simmons who admittedly will miss their fair share of shots in this situation. When the game comes down to one-on-one possessions, Boston has Philly beat. Even without Kyrie Irving, Boston has a slew of strong defenders in Al Horford, Jayson Tatum, Marcus Smart and Marcus Morris, all of whom can out play the Sixers in one-on-one matchups. Additionally, many people are criticizing Brett Brown’s lack of adjustment after the loss against Boston. 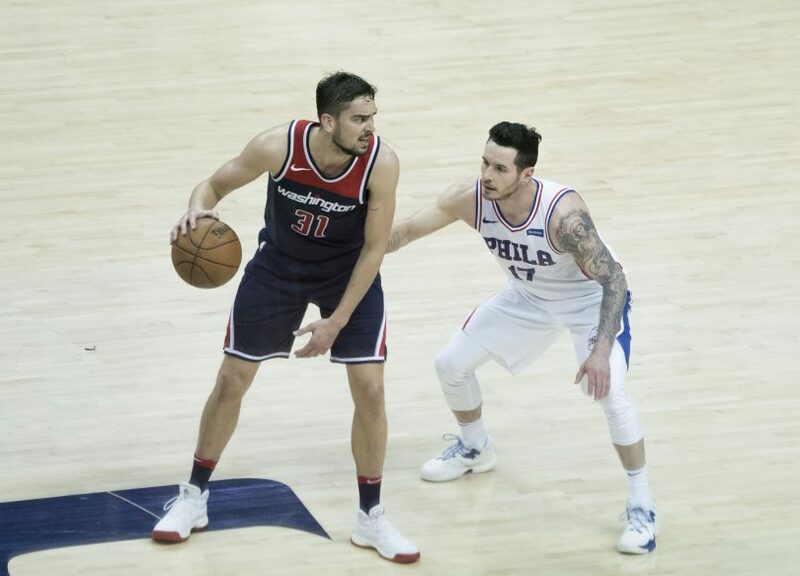 The Sixers ran 104 possessions on Tuesday night, and a third of the plays on those possessions were pick and rolls with practically everyone (including Furkan Korkmaz acting as the ball handler). When this play is called for a third of the game, a coach like Stevens is going to pick up on it and exploit a team as we saw in the final two minutes of the game. Brown also gave uncharacteristic minutes to guys like Korkmaz as opposed to bringing in the newer bench player James Ennis who would have been able to provide better defense. While I don’t believe that Brown should be fired simply for losing to the Celtics, they have proven to be a thorn in his side for far too long. Despite the loss to the Celtics, the Sixers came off their toughest 12 game stretch of the year with a 7-5 record which included a win against the Golden State Warriors. Philly has the ability to win against big teams, but only when their style of basketball is performed flawlessly. Brown has to rely on the bigs to succeed in the post and in the paint, I’m not so sure this team can thrive with that style. Philadelphia will need to play fast and loose basketball during their remaining 24 games. During that time, the hope is that Brett Brown will need to figure out a consistent ten man rotation that keeps at least two starters on the court at all times. He’ll also need to start diversifying his play calling and using the bench to maximize defensive potential. Mike Scott, Jonathan Simmons and Ennis are all quality defenders, and when the starting five isn’t out there playing catch-and-shoot ball, playing solid defense should be the team’s main focus.